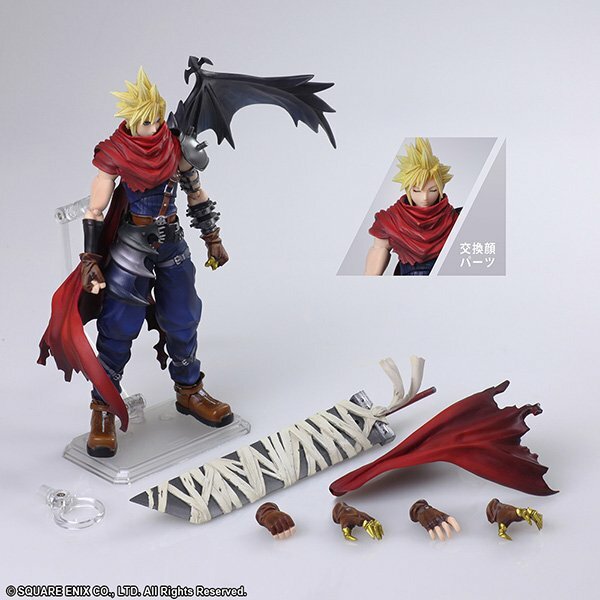 Costing 9,504 Yen, the Square Enix e-Store Cloud Strife Another Form Bring Arts figure comes with an exclusive interchangable face with Cloud's eyes closed. 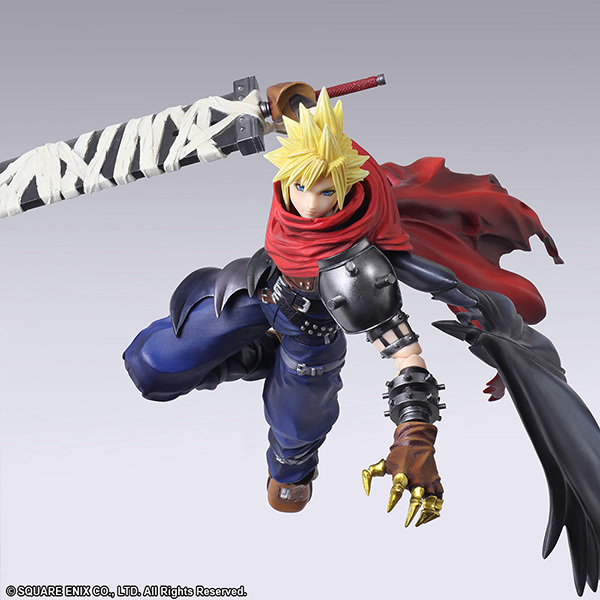 Based on Cloud Strife's KINGDOM HEARTS outfit, this figure comes with Cloud's bandaged Buster Sword, red cape modeled after Vincent Valentine's cape, various hands, and a stand to pose Cloud on. 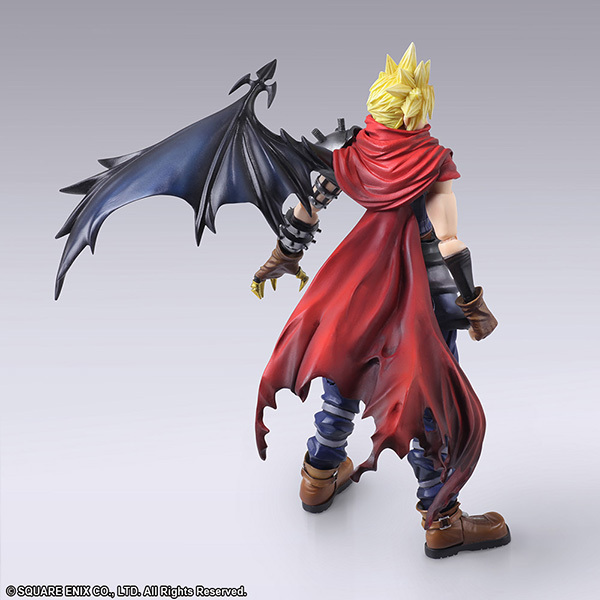 Now that I think about itâ€¦was that wing on Cloudâ€™s back also supposed to be part of the Vincent Valentine homage? Mmmm, idk. 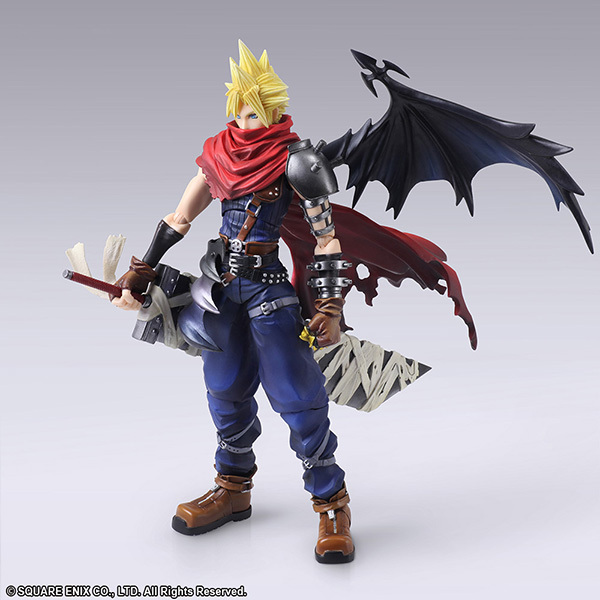 I guess it could be connected to Chaos...but I always thought it was meant to be a contrast to Sephiroth as the "one winged angel" so Cloud, the good guy, is the "one winged demon"
YESSSS!!!! 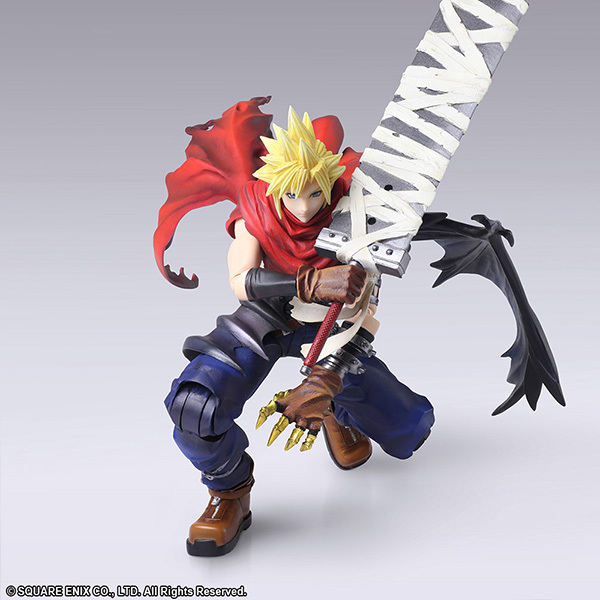 I'm SO BUYING THIS! I've been waiting since the reveal. 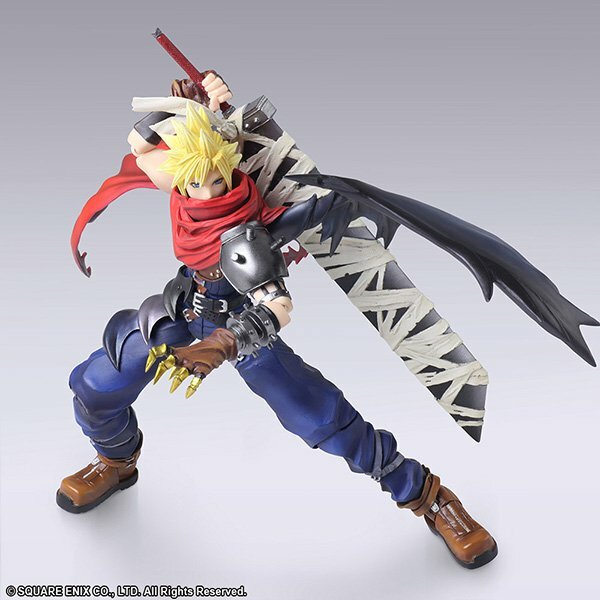 EDIT: The only thing exclusive to the e-store is the other faceplate with the eyes closed. https://youtu.be/VN24JkNKJiA?t=171 yeah it is in it's own right, it also acted as part of the narrative of cloud being more on the darker path in the initial game. He looks so good, ugh. But then again Riku looked good until pictures of the final product rolled out. I CAN'T TRUST YOU SQUARE. 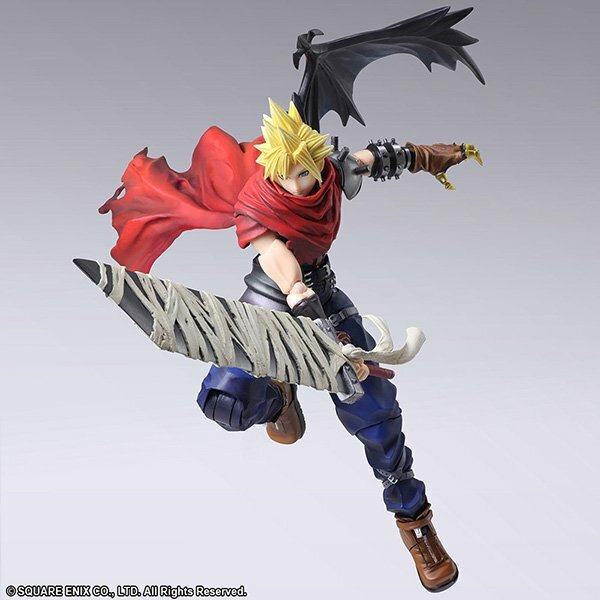 Yeah, I own a few of these Bring Arts now, and while I can't exactly have buyer's remorse for a Riku product [strike]such as this[/strike], her definitely did not look as good as the sculpt used in the promotional materials. I'll probably get Kairi, just so I can have the trio, but I think I'll just continue to save for PAK. They, too, can sometimes surprise me (for better or worse), but the quality overall is definitely elevated. 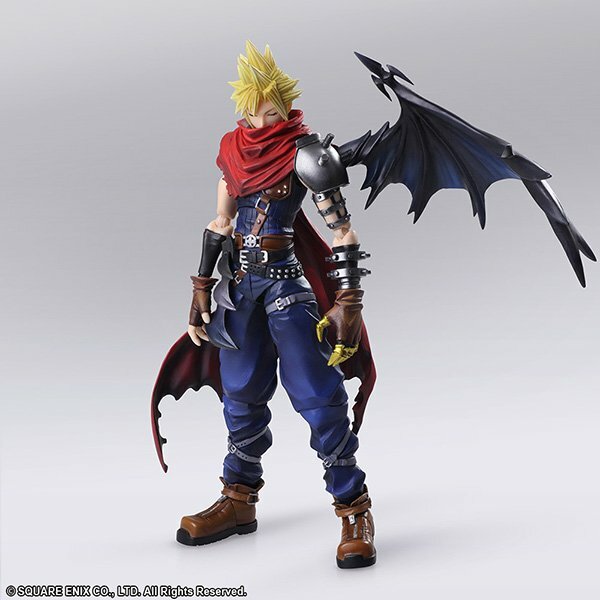 That being said, I've always liked the design of Vincent-hybrid KH1!Cloud, and he has the luxury of hiding behind a cape if his facial model comes out wonky.